Have you ever looked at an aesthetic crack climb, but had no idea how to crack climb? Where are the holds? Where can you put your feet? But crack climbing is one of the most rewarding and beautiful ways to climb, often on radiant sandstone walls in the desert or gorgeous alpine granite, following perfect splitters up endless rock faces. Climbers roam the country, from Utah to California to Kentucky, all year round in search of crack lines both new and classic. Cracks are often the only feature on a crack climb and therefore the only way to move up is to use the crack. Jamming various parts of your body into the crack is essential. 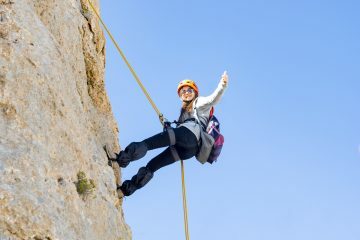 It may be painful at first, but once you start to master the movement, it can be exhilarating to move quickly and confidently up a crack system. This is the bread and butter of crack climbing. The easiest way up a crack climb is if the crack swallows your hand like a glove. The best way to hand-jam is to insert your hand into the crack and slide your thumb down towards your palm, engaging the muscles in the hand around the thumb. Flexing these muscles makes that part of your hand fatter, allowing you to easily hang off your hand as it jams into the crack. You can either hand-jam thumbs-up or thumbs-down. Thumbs-up allows you to reach a bit higher. Thumbs-down, in general, will slot better into slightly tighter cracks. As hand-cracks get wider, you can bend the knuckles at the base of your fingers and make cups out of them inside the crack. It’s not as secure, and you often have to straighten and engage your fingers, but cupped hands are great for the crack that is a bit wide for bomber hand-jams, and too tight for fists. 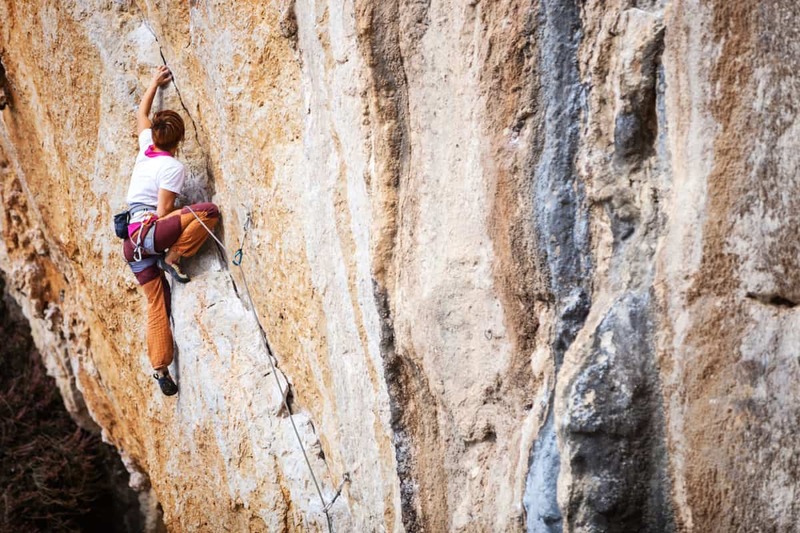 Footwork is essential to all climbing, and crack climbing is no different. Hand-cracks tend to offer great foot placements, but you have to twist your feet into them. Start with your knee facing out like you’re sitting cross-legged, and bring your foot roughly level to your other knee. With your foot tilted sideways, pinky toe at the bottom, insert as much of your shoe into the crack as you can. Then weight the foot by twisting your big toe downwards and bringing your knee more parallel to the crack. This can put a lot of pressure on your ankles and will likely feel uncomfortable when you first try it – but will become easier and more painless the more you get used to it. Inserting finger knuckles into a constriction in the crack is known as a finger-lock. Like a solid hand-jam, a well-placed finger-lock can feel like you could hang off it all day. For a thumbs-down finger lock, look for a place in the finger crack where it constricts and start with your elbows pointing away from you. Insert the knuckles of your index and middle fingers as deep as possible and then turn your elbow down as you twist your hand and sink in your finger-lock. For a thumbs-up finger-lock, use the knuckles of your pinky and ring fingers. Again, lock them into position by twisting and bringing your elbow down. Footwork on finger-cracks can be challenging. 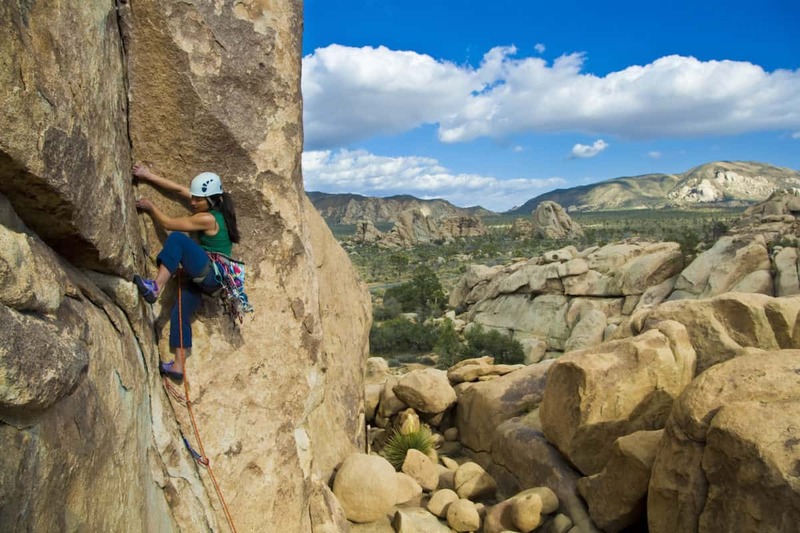 Climbers usually resort to trying to use their feet as they do in hand-cracks: start with the knee facing out, and then torque the foot into the crack by bringing the leg parallel to the crack and twisting the foot. Even just a tiny bit of purchase from twisting your toes into the crack can take some weight off your arms. Keeping your heels low can increase the surface area of your climbing shoe in the crack. Another technique is to stick your big toe, pointing up, in the crack, in the hope of finding some friction. Having any foot contact with the rock is better than having none. Remember also to make use of any holds on the face that might be available. For cracks that are slightly wider than your fingers, a technique called the ring-lock can be used. This is a hard skill to master and can feel somewhat tenuous but will be vital when trying a size that climbers call “rattly fingers”. Start with your elbow facing out, and cross the tip of your index finger on top of your thumbnail. Insert this into the crack, stacking the rest of your fingers over your index finger as the crack allows. Now when you pull your elbow down and twist into the ring-lock, your fingers should wedge against your thumb inside the crack. When hand-cracks get wider, a fist sometimes slots in perfectly. Fist-jams can be palm-up or palm-down, and are used by placing your fist inside the crack and clenching your hand muscles to make the fist slightly wider to wedge it inside. You can play with the position of your thumb to make the fist slightly wider or narrower, but be wary – a wide thumb position can be very painful. Feet often fit perfectly into wide hand-cracks or fist-jams. The technique is the same, but often you will not need to twist your foot into the crack too much, as it will slot in perfectly. If the crack is too wide for your foot, you may need to torque your foot in the crack, pushing the outside of your heel against the inside of your big toe, or the inside of your heel against the outside of your pinky toe. When cranking up on any jam, it is important to maintain the direction of the pull. For example, for a thumbs-up hand-jam, try to keep your elbow down as you pull yourself higher in order to keep the force on your hand in the same direction. Lifting your elbow as you pull higher may change the directional force, and cause your hand to slip out of the crack. 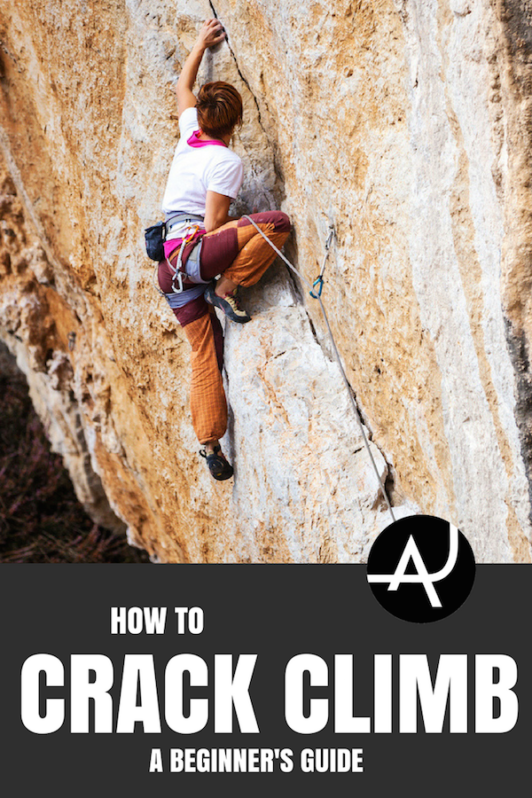 This often makes crack climbing – especially hand-cracks – very shoulder-intensive. As the hand and arm positions stay as static as possible, most of the pulling is then done through your shoulder muscles. If a crack leans a certain way, it’s often easier to shuffle your hands as you climb, rather than leap-frog them. For example, on a left-leaning hand-crack, lead with your left hand in a thumbs-down jam, and follow with your right hand in a thumbs-up position. Instead of climbing right hand over left hand, keep the left hand above the right hand and shuffle them up one at a time. If the crack leans to the right, lead with your right hand in a thumbs-down jam, and follow with your left hand in a thumbs-up jam. Crack climbs are seemingly graded for the hand and finger size of a normal male. In very general terms, a 5.10 hand-crack will indicate that the crack size will fit a number 2 Camelot slot (usually very solid for the average-sized man) and be fairly steep. The higher the grade, the steeper the climb and the more awkward the crack size relative to a number 2 hand-jam. This sometimes means that climbers with smaller hands and smaller fingers can find 5.11 cracks easier than 5.10 cracks. A number 1 Camelot hand crack will be difficult for the typical male, but much easier for a climber with smaller hands. Hard finger cracks will also generally be easier for tiny fingers that can sink a knuckle into the crack, rather than larger fingers that can only get fingertips to desperately cling to the edge of the crack. In general, go for the climb that inspires you, and use the grade only as an indication of crack size and steepness. 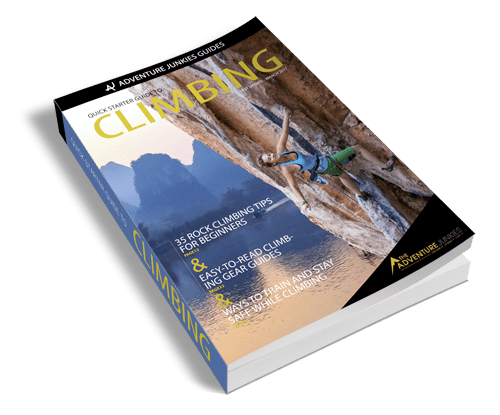 Most crack climbs are trad climbs, meaning they have no bolts and are protected by placing quickdraws on traditional gear as you climb higher. It’s also a good idea, when trad climbing in general, to wear a helmet. As most cracks are parallel, camming devices are often the best way to protect yourself from a fall. it’s often best to place gear at your waist; placing it higher might take up your next jamming spot. In crack climbing paradises like Indian Creek, uniform cracks often need several of the same cam size to safely climb a single route. 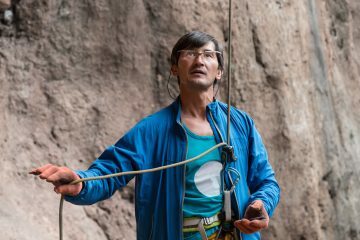 But don’t fret – climbers are a friendly bunch, and people at the Creek and other areas are often very open to lending gear to climb routes safely. Crack climbing can be hazardous on your skin. Many cracks have torn off skin from climbers’ hands, fingers, knees, or any part of you that can be useful for stuffing into a crack. 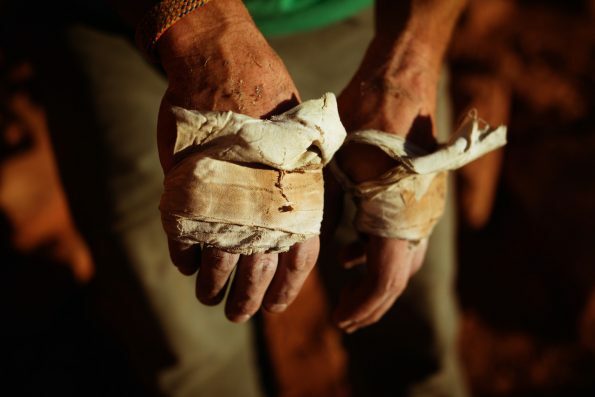 Some climbers opt for gloves made of thin sticky rubber, which not only protects your skin but also increases the friction between your hand and the rock. Others go for gloves made of climbing tape. There are a number of ways to do this, but this method allows you to keep your palms tape-free. Make sure to cover your knuckles. Climbers also often tape their fingers if they know they’re getting into some sharp finger locks. Simply wrap a thin strip of tape around the first knuckles of your index and middle fingers. Now when you sink in your finger locks, they should be a less painful and more joyful experience. Crack climbing means generally stuffing your feet into the crack and twisting it, so having an aggressive and tight sport climbing shoe is not what you want. Comfortable is better than painfully tight. Flat is better than curved; if you stuff a tight, curved shoe into a crack and twist your foot, your curled toes are never going to forgive you. 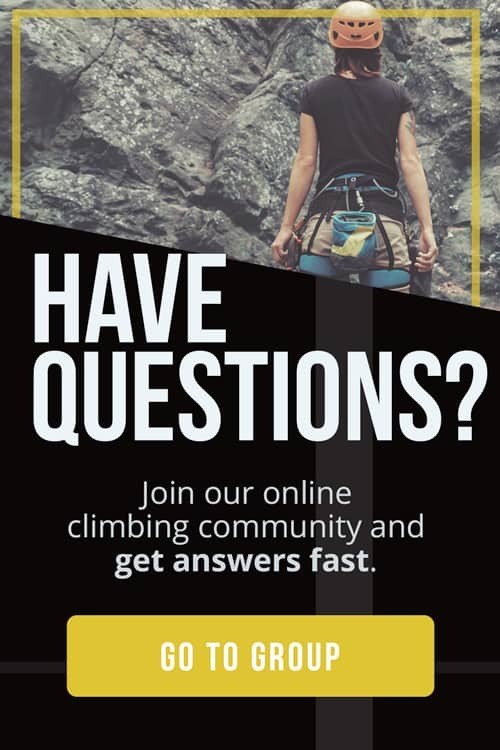 While there are a lot of shoes that are great for cracks, most crack climbers go for either the La Sportiva TC Pros or the Five Ten Moccasym shoes. The TC Pros have a very stiff toe-box and also protects the ankle, which can reduce the pain of burly footwork. Moccasyms are very soft and flexible, making them better for tighter cracks because you can stuff more of your foot inside a tight hand-crack or more of your toes into a finger-crack.